The perfect place to relax, rejuvenate and indulge. Culinary workshops, experiences and events are plentiful and certain to keep you warm. We love to embrace winter and the opportunities it presents. Just 90 minutes North East of Toronto the perfect winter getaway awaits in Kawartha Lakes. Embrace winter and experience Canadian culture at its best. From the beauty of snow-covered trails to the warmth of communities abundant in arts, culture and heritage, Kawartha Lakes is the perfect winter destination. Experience outdoor recreation, culinary delights, family friendly attractions and year-round events. In Kawartha Lakes our culinary offerings are made by craftspeople who take pride in their work. From local chefs, and craft brew masters, to sugar makers, bee-keepers, dairy farmers, and bakers — their focus and patience to see the product through the entire process are one of the many reasons why culinary experiences in Kawartha Lakes are in high demand. Immerse yourself in the arts, culture and history of Kawartha Lakes on our Arts & Heritage Trail featuring over 50 different destinations. You'll leave with your own great story to tell. When it comes to outdoor recreation Kawartha Lakes has it all! From snowshoeing, skiing and snowmobiling on our extensive trail system to hunting, ice-fishing and even ice boating, Kawartha Lakes is a winter wonderland for those looking to embrace winter. 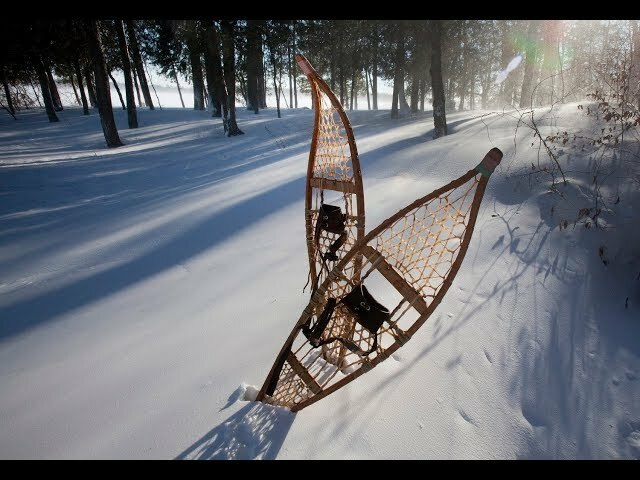 Check out the Snowshoe Kawartha Winter Festival for a day full of winter outdoor recreation for the whole family. Winter fishing is a tradition in Kawartha Lakes and is one of the best ways to embrace the cold weather, relax and have some fun. Cast your line on one of our many lakes open for the ice-fishing season. Whether you are out with an experienced fishing guide, on your own or with family and friends, fishing Kawartha Lakes is an experience not to be missed. Kawartha Lakes is home to the first lock that was ever constructed along the Trent-Severn Waterway, a scenic 386 km route of interconnected rivers, lakes, locks and canals that travel through Kawartha Lakes. Learn about Lock 32 and the other historic sites on along the Trent-Severn Waterway on our Kawartha Lakes Arts & Heritage Trail. Kawartha Lakes is full of great storytellers. Once here, you'll discover that every town and village has a story surrounding it. Intangible culture includes the folklore, beliefs, traditions and customs that shape our lives. It influences the way that we see the world, the objects that we craft and the cities that we build. Best understood through our stories — explore our intangible stories map and start planning your experiences in Kawartha Lakes. Embrace winter with us in Kawartha Lakes at the many festivals and events throughout the season. For those who want to keep warm attend a culinary workshop at South Pond Farms. Kawartha Lakes has something for everyone throughout the season and year-round. Discover a winter wonderland that can take you from amazing culinary workshops to our extensive network of winter trails. Curate your own experience with many unique towns and villages along the way. Discover the rich heritage and diverse artistic talent that is alive in our region. Explore our hidden gems and local legends. More than 50 destinations and experiences.